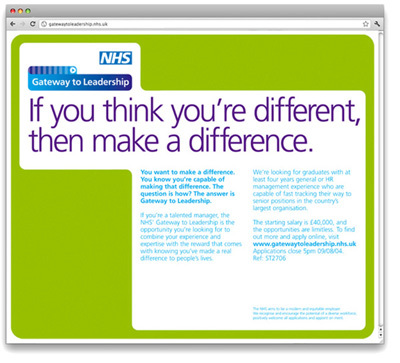 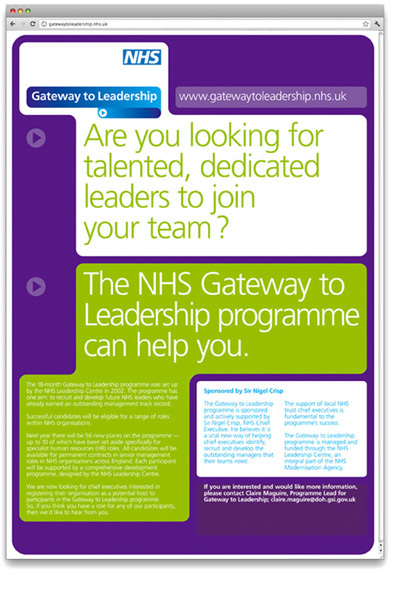 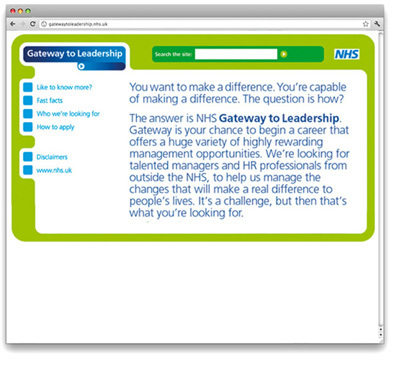 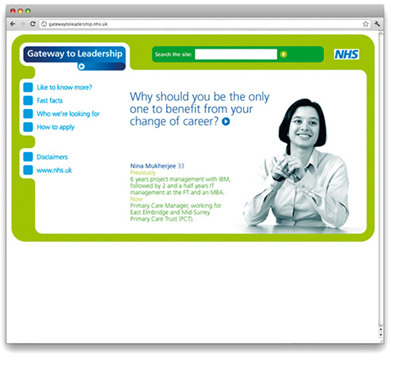 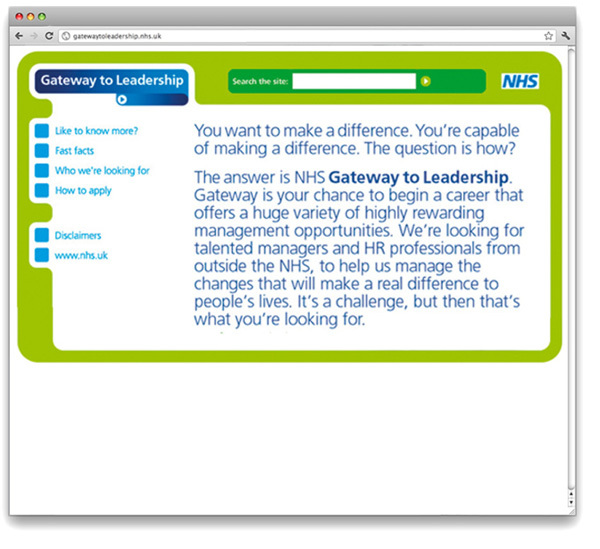 The NHS selected Intro to devise an integrated recruitment campaign that would persuade high-calibre managers, many of them working in the private sector, to join the NHS. 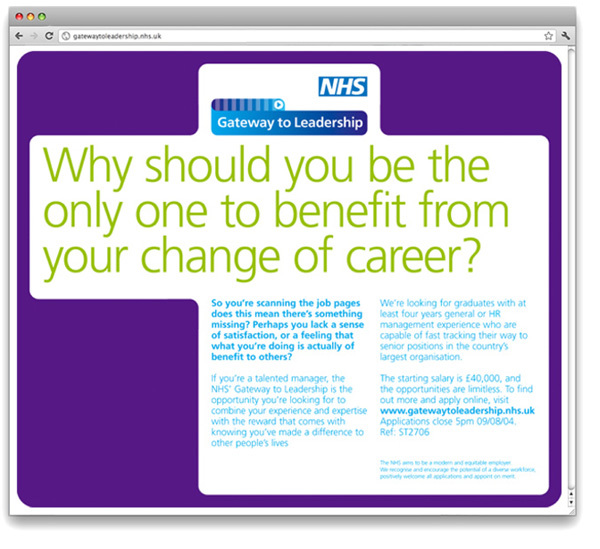 It used powerful headlines that appeal directly to the ‘nobler instincts’ of potential candidates. The campaign proved hugely successful in attracting high quality applicants. 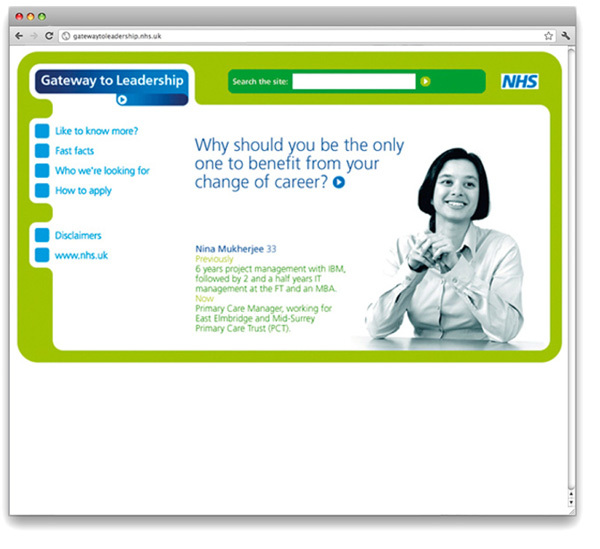 It involved planning, market research, print and web design, advertising and media buying.